“We are a Movement that was born out of a battlefield, Solferino. It had a name; it had a place, and a defined geographic confinement. 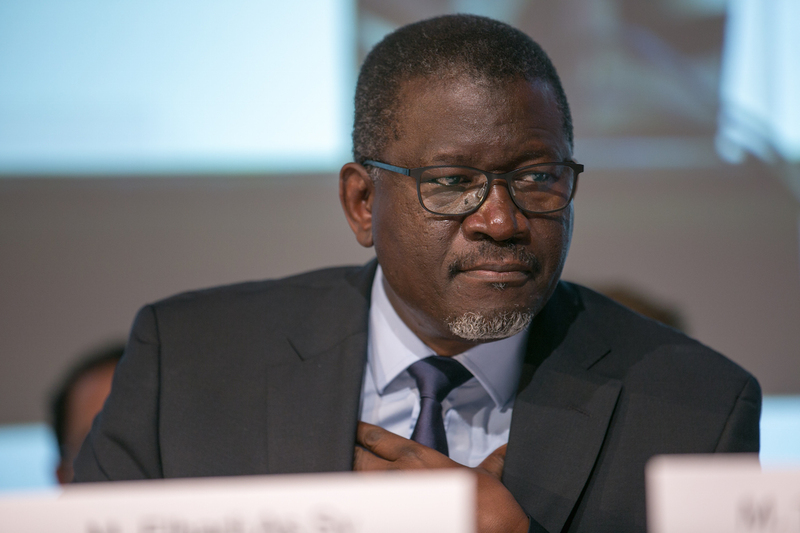 Since then more battlefields have appeared… Our work reminds us that there are battlefields everywhere,” said Mr. Elhadj As Sy, the Secretary General of the International Federation of Red Cross and Red Crescent Societies (IFRC). But as the nature of conflicts and emergencies have changed, so has that of the world’s emerging humanitarian crises, added the IFRC leader. These have become globalized; the gaps between the rich and the poor and between urban and rural areas have increased, and the same communities are now suffering several vulnerabilities at a time. In light of these challenges, how effective is the role of humanitarian organizations today? And how can they adapt to the new characteristics of crises to succeed in alleviating human suffering? The discussion around this topic took place during a discussion between Mr. Sy and economist and author Dr. Dambisa Moyo, whose book “Dead Aid: Why Aid Is Not Working and How There is Another Way for Africa” argues that traditional development assistance can hamper the economic development of emerging countries. Dr. Moyo said that although foreign assistance has played an important role in some contexts, aid is a short-term solution that encourages corruption. “Aid breaks the contract between Governments and citizens through which decisions makers can be held accountable for their actions and shortcomings,” explained Dr. Moyo, adding that no country in the world has achieved economic success by relying on aid. Importantly, Dr Moyo did differentiate between different types of aid, and noted the importance and value of humanitarian aid. 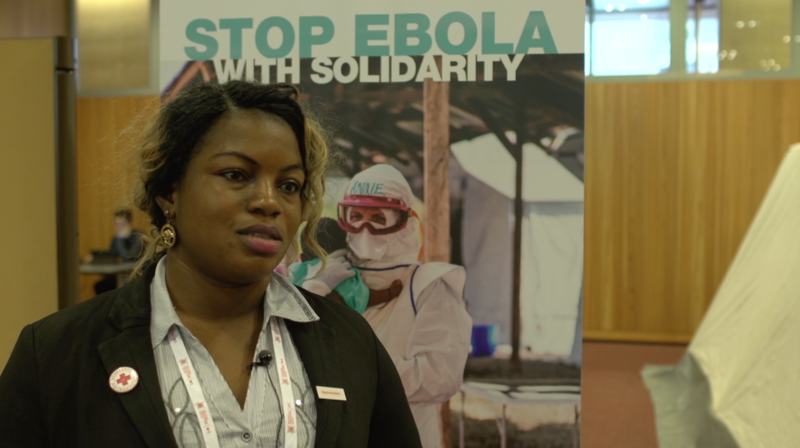 Mariama Manneh joined the safe and dignified burial teams of the Sierra Leone Red Cross Society when the first cases of Ebola began surfacing in her district of Port Loko in June 2014. She says communities welcomed her, as she could provide dignified burials to women who had passed away, but was shunned by her family and friends. The soft-spoken 24-year-old has been working on the Ebola response since the first cases of the disease emerged in her district of Port Loko, Sierra Leone, in June 2014. She joined because, up until that point, it was only men who were collecting the bodies – including those of women – and that was not sitting well with communities. But her family and friends did not understand and most certainly did not approve. Scared that she would bring the deadly virus into their homes, they kicked Mariama out of her house and left her on her own to cope with her experiences. “We’re stronger when we work together. My team and I commit to results, quality, and accountability. We are seeking your approval to help resource this plan,” said Mr. Elhadj As Sy, Secretary General of the International Federation of Red Cross and Red Crescent Societies (IFRC), as he outlined the organization’s Plan and Budget to National Red Cross and Red Crescent Society senior leadership attending the IFRC General Assembly. The Plan and Budget focuses IFRC’s actions on how it can support and partner with its 190 National Society members, and other organizations, to strengthen not only National Societies but also the resilience of communities in the face of more frequent and complex disasters and crises. “Shocks do not need to be disasters,” said Mr Sy. IFRC’s primary focus is to support, advocate for, and amplify the collective humanitarian effort of strong National Societies under one of the world’s most recognizable brands. The IFRC is seeking more unearmarked funding to ensure its ability to respond to the quickly changing needs of those most vulnerable. This funding will be part of the regular resources of the IFRC, which will be allocated according to operational needs and priorities outlined in the Plan and Budget. “We’ll make sure that we have the systems and control mechanisms in place which will hopefully give you the confidence to invest in voluntary contributions,” said Mr Sy. 80 million Swiss francs to ensure a strong IFRC. The remaining budget will enable the IFRC to coordinate, strengthen and support National Societies in eight areas of focus that reflect the continuum of preparedness, response, recovery, and development in which National Societies operate. These include disaster risk reduction, shelter, livelihoods, health, water and sanitation, social inclusion, culture of non-violence and peace, as well as migration. The largest study ever undertaken on Red Cross and Red Crescent volunteering – a two-year project covering 158 countries – has been launched at the IFRC’s General Assembly on International Volunteer Day. The Global Review on Volunteering Report captures the findings of a study that was supported by 22 National Societies – who provided researchers, resources and other assistance – and contains the experiences and views of more than 600 people including volunteers, managers, staff and external experts. The research was designed and implemented by the IFRC in partnership with Northumbria University. Professor Matt Baillie Smith of the University of Northumbria, co-author of the report, said that the IFRC must address the challenges raised by the research, particularly volunteers’ need to be part of the decision-making process. Professor Smith also said that as the world’s largest volunteer network, with nearly 17 million active volunteers, the IFRC should lead the way by adopting the new approaches that volunteers need, as “other organizations would listen what the Federation has to say about volunteers”. According to Mr. Tadateru Konoé, President of the IFRC, “this report comes at an important time, at the launch of a new Global Development Agenda, the Sustainable Development Goals, which has a stronger call than perhaps ever before for the need for localization. Mary Esther Rouffet, Youth Representative of French Red Cross, quoted Gandhi as she opened the side event “Youth engagement for a better world” during the IFRC’s General Assembly. She reminded delegates that more than half of the IFRC’s nearly 17 million active Red Cross and Red Crescent volunteers are young people who work tirelessly to respond to emergencies and to build resilience in their communities. For that reason, the IFRC is defining a new agenda to engage young people not just as volunteers, but also as staff members in many National Societies. Orla Murphy, Youth Representative of the Irish Red Cross, said that young people must understand that it is their responsibility to participate and be involved in the changes they want to see. The other panellist was Professor Habibe Millat, Vice- Chair of Bangladesh Red Crescent Society. He emphasized that the leadership of National Societies also has an important responsibility to create space for the participation of young Red Cross and Red Crescent volunteers. Chemical, biological, radiological and nuclear disasters can have devastating and long-lasting consequences for community health, and can transcend borders to affect whole regions. How can the International Red Cross and Red Crescent Movement develop strong response systems that can limit the consequences of such disasters? When an earthquake and tsunami hit Japan in 2011, the losses were devastating and augmented by a third disaster at the Fukushima Nuclear Power Plant. More than 15,000 people were killed, and thousands others were injured or reported missing. Years later, the impact of the triple disaster continues to be felt in Japan due to the release of radioactive materials from Fukushima, and this is believed to be a primary cause for the spread of cancer. Belarus has also been severely affected by a nuclear disaster – the explosion at the Chernobyl Nuclear Power Plant near the Ukrainian border town of Pripyat in 1986. 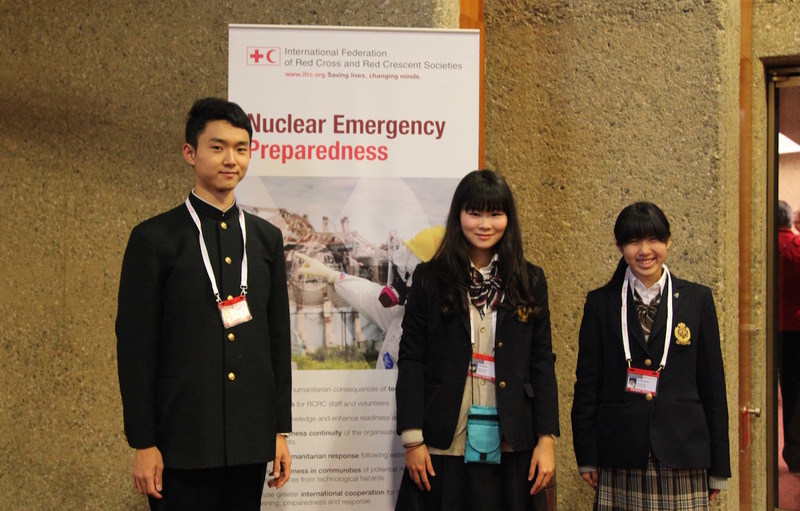 The issue of chemical, biological, radiological and nuclear disaster preparedness was discussed during a side event titled “Faster, Stronger, Better: Strengthening Red Cross and Red Crescent Emergency Response Systems” at the 20th General Assembly. Several recent major crises have highlighted the importance and centrality of quality rapid disaster response systems, but have also exposed weaknesses in the international response to global epidemics. This side event focused on ways in which the Movement needs to get better at capturing innovations, identifying lessons and learning them, and taking action by bringing about institutional changes that are urgently needed. We have a unique capacity of going from the global to the local level. We need to use this strength better as a Movement. Preparedness makes a huge difference: Movement coordination internally and with the local government should be defined and built as part of our disaster preparedness work. Using new and innovative communication channels (i.e. social media) to engage with communities is to be explored further. Global disaster management tools need to be interlinked (i.e. FACT, ERU, RDRT…) and should build on each other’s strengths and roles; we need a clear vision on how they will be used in the future. External support needs to focus on transferring the knowledge and enhancing the capacity of the host National Society and its branches. The best asset in a crisis response is a strong National Society that has learned and grown in past emergencies to be better prepared for the future ones. All Movement parties need to clearly complement each other, coordinate better, share leadership and have well defined roles and responsibilities. Capitalizing on each other’s strengths need to become the norm. Our principles and rules are the key to performing faster, stronger and better. A team of volunteers has been capturing events around the conference.